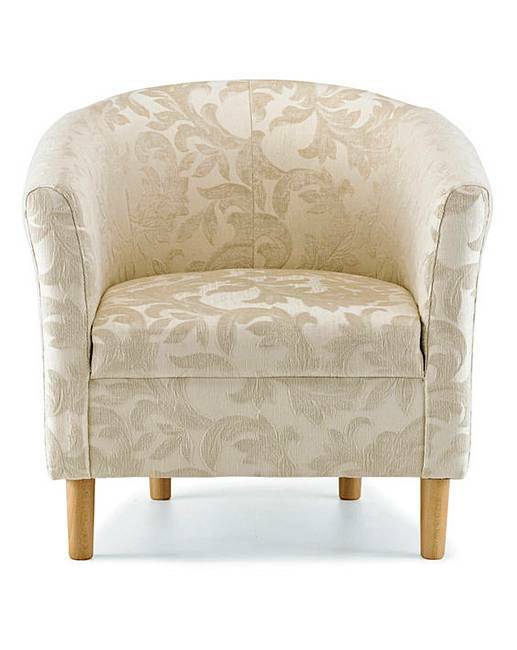 Chenille Tub Chair is rated 4.0 out of 5 by 3. Match any room with these elegantly proportioned tub chairs that extend an inviting welcome wherever you choose to place them. Beautifully affordable for such classic pieces, they feature delightfully curved wrap-around styling and smart wooden legs. H.30 x W.32 x D.26¾in. 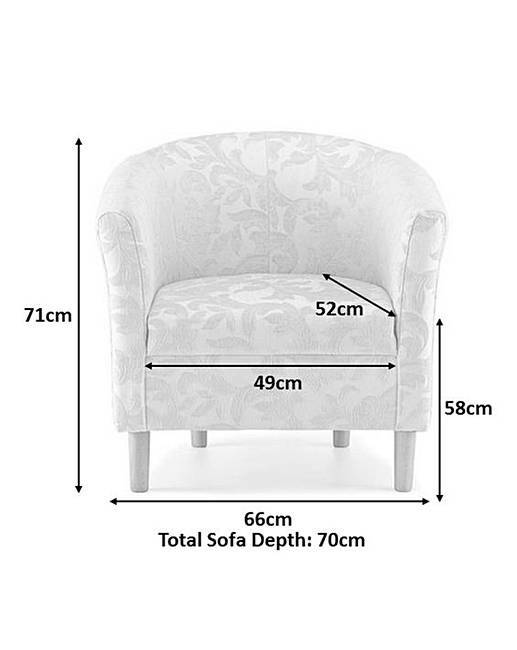 Rated 5 out of 5 by Phoebe55 from Beautiful chair I bought the chair for my recently decorated spare bedroom, it looks great and is very comfortable, the price was good too. 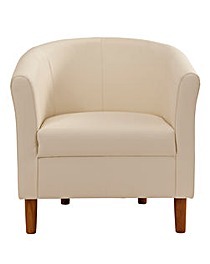 Rated 4 out of 5 by Jill from Armchair I bought the armchair few weeks ago and I am please with it. The material colours match with my lamp light.